THE Asean Basketball League (ABL) open its seventh season on November 25 in Singapore with a rematch of last year’s finalists - and expectations of a banner year for the regional league. Reigning champion Westports Malaysia Dragons will battle home team Singapore Slingers at the OCBC Arena to kick off hostilities in the six-team field that includes a new entry from the Philippines in Alab Pilipinas. Alab Pilipinas will be looking to reassert Philippine supremacy in the league previously won by the Philippine Patriots and San Miguel. Last season, the MX3 Kings finished with the league's worst record. 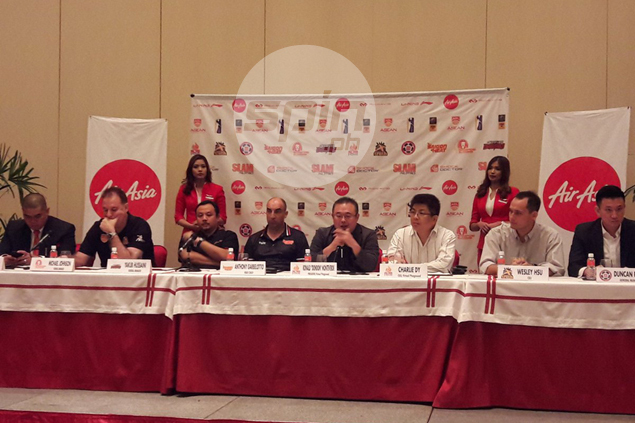 Alab Pilipinas makes its debut on November 27 against the Singapore Slingers at the Alonte Arena in Binan, Laguna. Two teams outside the Asean region in Kaohsiung Truth of Taiwan and Hong Kong Eastern Long Lions will make their debut in the league. Rounding out the field are the Saigon Heat. ABL chief operating officer Jericho Ilagan said he is happy with the developments. “Many of the national team players of Singapore, Malaysia, and Vietnam also play for the Slingers, Dragons, and Heat so their success in international tournament could be partially credited to the experience they gain from playing in the ABL,” said Ilagan. Ilagan also said the entry of teams outside Southeast Asia bodes well for the league. “That is a great sign for the league because it shows that the ABL is reaching more and more people. It also means that next season, the league will have fresh player match-ups and maybe even new rivalries,” said Ilagan.